Mom's Gone Bronson! : Cheese Knives Set from Laminas! 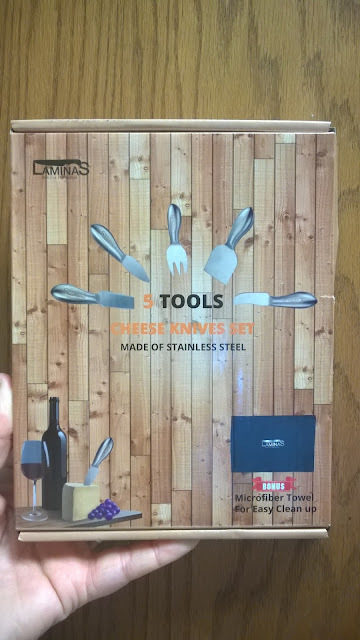 Cheese Knives Set from Laminas! Disclaimer,: I received this item for review purposes. Your opinions may differ from mine. Thank you. 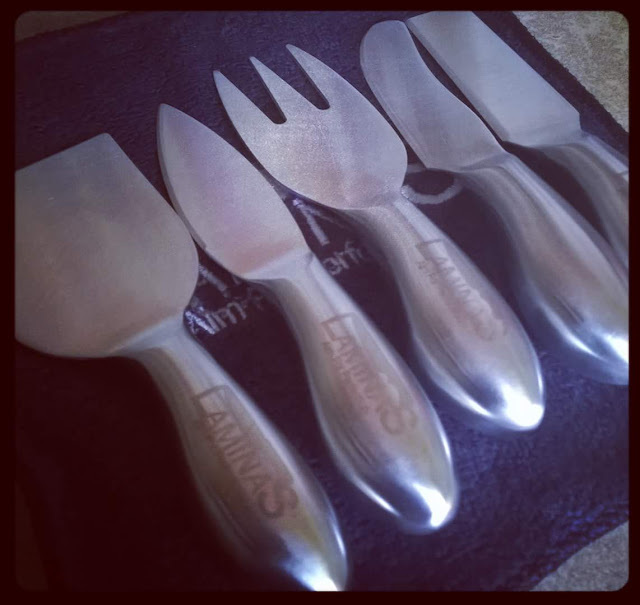 Here is a great little cheese knives set, from Laminas! I received this rather awesome cheese knife set the other day and am really enjoying it - Especially as we are a family who definitely loves and adores our cheese! This 5 piece set is well made, sturdy, thick and strong, with a smart shape that is functional and decorative both at the same time. Great for entertaining guests, with a cheese plate and crackers and is easily cleaned and packed away! Perfect for every day use, too - and rather practical. I absolutely give them top marks all around! For more information you can find this particular set on Amazon, here! Spruce up your cheese platter, today! Jennie-O Has Easter Covered, With Turkey!